Most of South Australia's life radiates gently from arty capital, Adelaide, dwindling as it hits the bone dry land beyond, where temperatures regularly hover around 48 degrees. Underneath this unforgiving, stoney land are mineral veins on which tiny townships suckle, and beyond that are the hazy colours of the Flinders Ranges. But around Adelaide the land is lush - perfect for wine growing, and beyond that the sea is packed with tuna and lobsters, creating the perfect conditions for a foodie heaven. 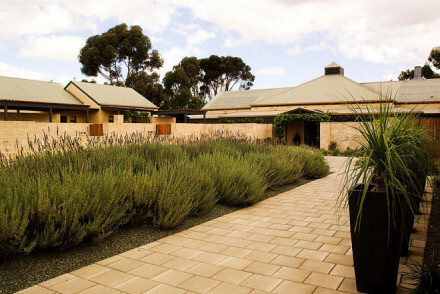 Our Guru's recommendations for the best places to stay in South Australia range from chic city boutique hotels in Adelaide to rambling old farmsteads in South Australia's wine country. Once upon a time Adelaide's, main appeals were its graceful religious architecture and the fact that it was set up as a free colony, rather than a penal colony. But these days Adelaide is known for a lot more - the arts and festival scene is exuberant, the foodie scene thrives on its position - by the wine regions of the Clare Valley and McLaren Vale, and there's a multicultural wave gradually stretching the city's traditionally conservative nature. Less than a quarter of an hour's drive away on the freeway and you're in one of the rural towns of the Adelaide Hills or charming old Port Adelaide. Both these regions are worth exploring, as is Glenelg, the beachy bit. But first you should explore the centre of town. Don't miss the Central Market, the Art Gallery, the South Australian Museum or the Botanic Gardens. And it's definitely worth visiting Adelaide during festival time - which is almost always - as the city really comes alive and venues pop up all over the place. A little bit more driving and you'll hit McLaren Vale and the Clare and Barossa Valleys, home to some of Australia's best known wine brands, such as Penfolds, Peter Lehmann and Seppelt, as well as numerous tiny wineries. Most allow tastings and some have very decent restaurants as well. These regions are famous for their big reds, especially Shiraz and Cabernet Sauvignons, but they also grow Chardonnay and Semillion vines. The red vines especially are known for being some of the oldest in the world - they came as Rhone Valley cuttings and have now outlived their parent plants which were decimated by disease in the 19th Century. After that most people drive on to the Limestone Coast, along the Murray River, and Kangaroo Island. The flat land of the Limestone Coast is backed by surf beaches and secret bays, and below the ground you'll find a strange warren of underground caves. Kangaroo Island is a wonderfully unspoiled place, rich with biodiversity, but of course especially rich in kangaroos. And then it's on to the Flinders Ranges, row upon row of jagged peaks rising up behind Port Augusta. These mountains change colour during the day, from a morning violet to an evening red ochre. The Hotel Guru has sifted through all the best places in South Australia and come up with the following short list, which should have something for all tastes and budgets whether you're looking for an outback adventure or city luxe. The Clarion Hotel Soho is right in the centre of town, with all the mod. cons., chic design and a regularly changing art exhibition on display. As well as being close to everything the Clarion Hotel has a roof top pool with views over the skyline. 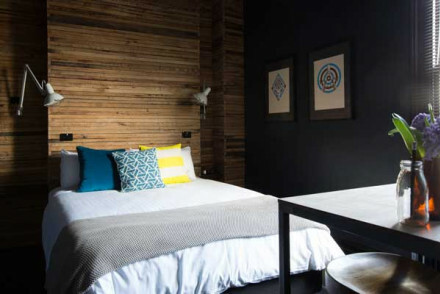 The Franklin is a quirky, seven room boutique hotel in the heart of the city. As well as being small and perfectly designed, The Franklin offers guests free use of its bicycles. And all for around £80 per night. LIfetime Private Retreats offers four seaside luxury villas, with fully inclusive dining packages or self catering - you choose. 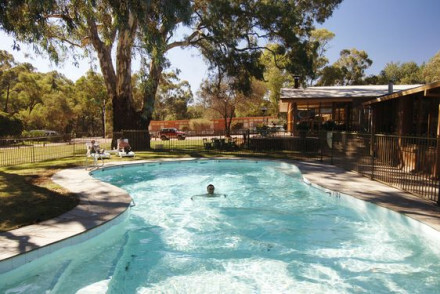 The Wilpena Pound Resort is the perfect choice if you want to visit the Flinders Range. There is a wide range of accommodation, plus pool and restaurant. Rooms start from just £100 room only, and self catering options are even less. 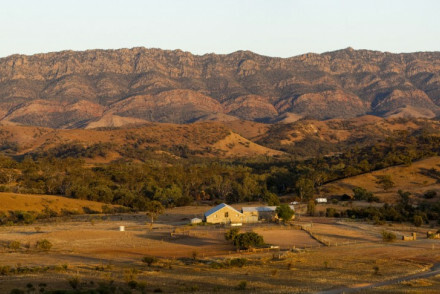 Look no further than Arkaba Station, a vast sheep farm turned private wildlife sanctuary with five individually designed rooms, overlooking the Elder Ranges. There's no internet or phone signal, so it's the perfect place for total relaxation. 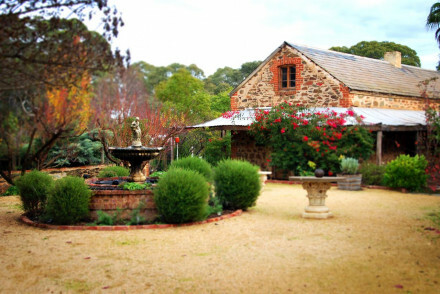 Kingsford Homestead, on the edge of the Barossa Valley, offers seven exquisite rooms, swimming pool and great food. If you'd prefer a self-catering option this holiday - don't hesitate to visit our online partner, Booking.com for a diverse selection of properties to suit holidays of all types. Fly to Adelaide Airport, located 5.7km (3.5 miles) from Adelaide with a wide selection of domestic and International flights including to Asia and the Middle East. Alternatively, catch a train to South Australia with rail links to Adelaide from Sydney and Melbourne amongst other destinations. If you want to rent a car to South Australia, click here for prices and booking with our online partner, Rental Cars. Best time to visit - the Spring months from September to November for less chance of rainfall and pleasant temperatures. 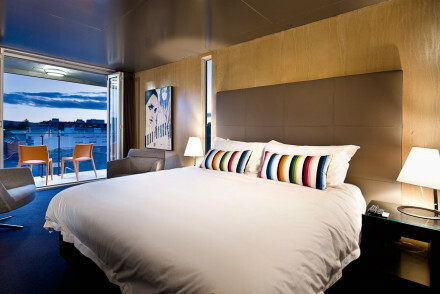 Quirky and charming boutique hotel in Adelaide's CBD offering seven tastefully decorated rooms with unique original artwork. Free bicycles on offer are a great way to see the city. 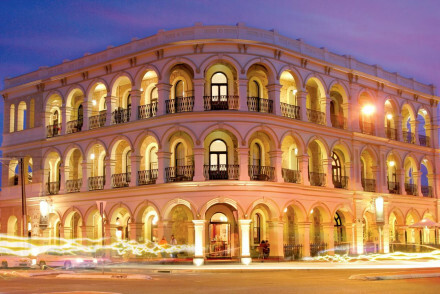 A colonial-style seafront hotel harking back to the city's Art Deco past. Interiors are elegant and feature a good dose of retro style. With bars and restaurants boasting gourmet menus, it is a popular venue amongst guests as well as locals for gigs and late-night DJ sets. 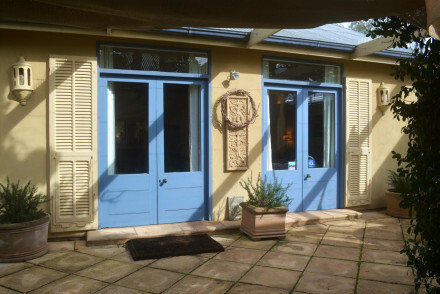 Three self-contained B&B cottages on a quiet leafy street in the heart of Adelaide. Charming interiors are cosy and traditional with wood burning stoves, antiques and soft hues. 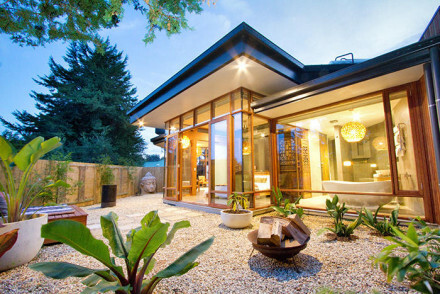 Each offers a private courtyard. A tranquil home-away from home. A quirky 19th-century converted fire station. Consists of three self sufficient apartments all featuring spa baths and one kitted out with fire engine and fun fire-station themed decor. Centrally located within easy walking distance of restaurants, bars and sights. A unique stay. Set in lush gardens in the rolling Adelaide hills, enjoy a boutique luxury experience in a country estate with spa facilities. Fine dining with an emphasis on seasonal, home-grown and foraged foods and a premier wine selection, some from the estate vineyards. A rural base with easy city access. 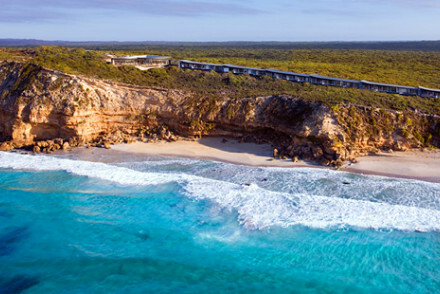 Four luxury private villas on Kangaroo Island by Snelling's Beach. Ensuite rooms, dining area, outdoor terrace, fully equipped kitchen and laundry facilities. Fully inclusive dining packages are available too. Perfect for a private getaway and families. A charming B&B nestled in the tranquil Barossa hills offering a choice of luxurious suites, with a glorious outdoor pool amid lush gardens overlooking the vineyards. A generous breakfast spread is provided as well as wine and cheese tastings, while top-notch foodie spots are found locally. A cookery school with three elegant Asian-style villas. A foodie haven: private chefs or dinner trays can be organised and classes taken at the school. Interiors are contemporary with plenty of glass and indulgent bathrooms. 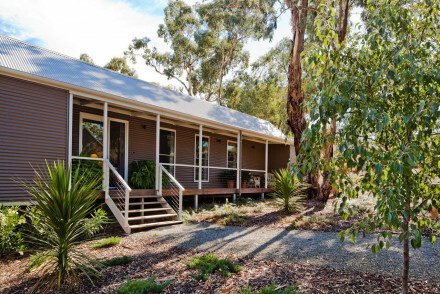 A fabulous base from which to explore the Adelaide hills. 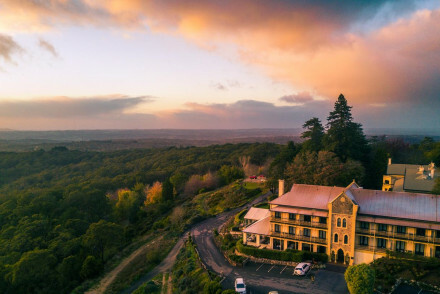 Situated in the heart of the Barossa Valley, this luxury hotel offers large rooms with spa baths and outdoor rainshowers, plus glorious views over the surrounding vines. Appellation Restaurant is widely regarded as one of Australia's finest and the wine list is second to none! 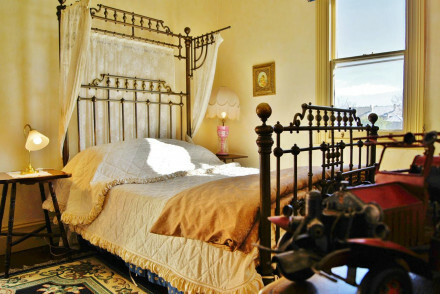 A charming, luxury B&B in the beautiful valley of Clare, renowned for its vineyards and wineries. Three well-appointed rooms are spacious yet cosy. Indulgent breakfasts are served and gourmet dinner packages also available. A great spot for discovering the local wineries and hiking trails. Luxury accommodation in 1850s homestay at Arkaba Creek. Five individual rooms with unique local furnishings, a swimming pool and open fire pit for after dark. Explore the 63 000 acre private wildlife sanctuary in style. 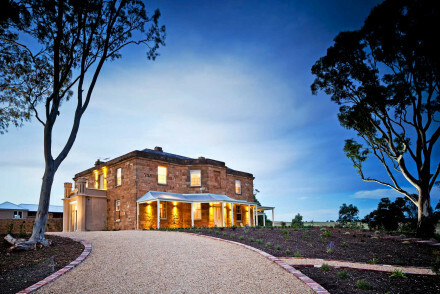 This stunning 19th century homestead has been converted into a luxurious hotel with seven exquisite ensuite rooms on the edge of the Barossa Valley. Facilities include a swimming pool and restaurant specialising in local ingredients. Try the bush bath for the ultimate romantic experience. 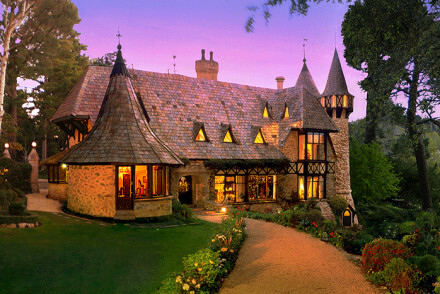 Set away from the city in the Adelaide Hills, this luxury small hotel has only five dreamy rooms. Privacy is of paramount importance, with the promise that you may not even see another guest. Perfect for a romantic getaway. 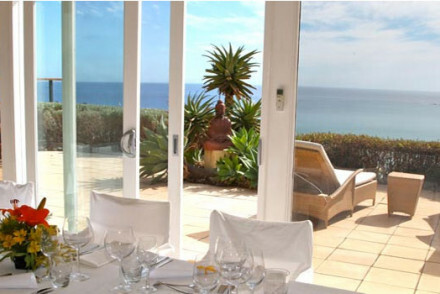 Stunning cliff top location on Kangaroo Island's south coast. Luxury detached accommodation, with floor to ceiling glass bathroom walls, limestone floors and some with private plunge pools. The ultimate combination of rugged wilderness and sumptuous creature comforts.